Today, after upgrading from VS 2010 to Visual Studio 2012 (with VS 2012 Update 4), I build some open source libraries (Boost 1.55, OpenCV 3.0.0-dev, FLANN 1.8.4, and Point Cloud Library 1.7.1-PCL) and here are some notes for ones who may find them useful. 0. Some thoughts on VS 2012: much bigger than VS 2010, without blend and other options, I just checked the MFC option but the memory required was more than 7 Gbs. The installation has less option as compared with VS 2010 (no option to exclude VB, Web support or C#, SQL Server … like in VS 2010). After update to Update 4, there is another option for MFC or Win32 project with targeting to v110-xp, this is due to the fact that VS 2012 compiled programs (before Update 4) could not run on XP. And the folder C:\ProgramData\Package Cache contains all the packages from VS 2012 installation (about 1.7 Gb, I wonders if this can be deleted). In my feelings, VS 2012 is not slower than VS 2010, it may be faster on stronger machine with 4 or 8 CPU cores. It’s a suprise that VS 2012 include the DirectX library in the C:\Program Files\Windows Kits\8.0 folder, so you can write DirectX based program without any further installation. One of the big improvement of VS 2012 is it is a true multicore compiler which can uses multicore for compiling a project, not a parallel compiler as VS 2010 (see more details from this address). 1. Hardware and software platform: Windows 7 SP1 32 bit on a laptop Core 2 Duo 2.4 Ghz with 3 Gb Ram, VS 2012 Update 4. Some required libraries are: Eigen 3.2 (for PCL), TBB 4.2 Update 2 (for OpenCV) and CMake 2.8.12.1, CUDA 5.5.2 32 bit. For details of building OpenCV with TBB, please read ref 1 or ref 2. The path to CMake’s bin directory is mandatory added to the PATH environment variable. 2. Building OpenCV 3.0.0-dev. I remove matlab, python and java building options from the file CMakeLists.txt of OpenCV and keep only the CUDA code version >=2.0 (in the file OpenCVDetectCUDA.cmake) to make the process faster. Then cmake-gui is used to generate the VS 2012’s solution and project files. On my machine, this ran for 4 hours and a folder of about 7 GBs was generated, but the install folder was only about 330 Mbs (other files and folders from the build folder can be delete after). The reason for the 4 hours duration may be caused by the /GL building option which was set for all the OpenCV projects. 3. Building Boost 1.55(which is also required by PCL): just run the bootstrap.bat from the command line and .\b2 command after but remember to add the VS 2012 path to the PATH environment variable. 4. Building FLANN 1.8.4: I used cmake-gui to create the solution file and build with VS 2012 without any problem (some python projects were not built, but I don’t need them). 5. Building PCL 1.7.1: Again, cmake-gui was used to generate the solution file, I had to set variables manually for boost and FLANN. Be careful with /GL building option because the whole optimization can caused failed build even your machine (64 bit) may have up to 16 GB of RAM, especially with pcl_feature project. This process took about 2 hours with 2.5 Gb build folder and no error was raised. All work well on my machine, which runs a Windows 7 32 bit. 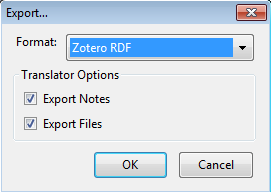 Cách 1: Copy toàn bộ thư mục chứa dữ liệu của Zotero sang đúng vị trí của máy đích, đối với Windows 7, thư mục đó là “C:\Users\<User Name>\AppData\Roaming\Mozilla\Firefox\Profiles\<randomstring>\zotero”. Bạn nên Zip lại copy cho nhanh, lưu ý là trong thư mục này có thể có một vài file .bak là file backup của sqllite (ví dụ như zotero.sqlite.bak), file này khá lớn và không cần thiết. Khi copy sang máy đích, cần ghi đè toàn bộ thư mục của máy đó nếu được hỏi. Cách này là chính xác nhất và ngon lành nhất. 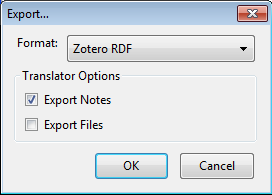 Khi đó bạn chỉ có 1 file .rdf duy nhất (kích thước rất nhỏ), copy file này sang máy đích và chọn chức năng import của Zotero là xong. main.obj:-1: error: LNK2019: unresolved external symbol “void __cdecl boost::filesystem::path_traits: …. 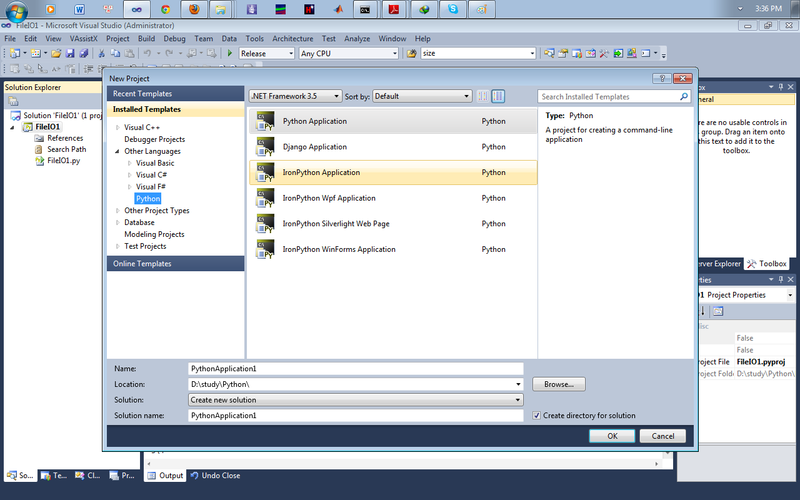 Python 3.2 with Visual Studio 2010 – Why have to find another IDE? I just want to find an IDE that easy to use, like VS, QtCreator or DevCpp. And Python integration for Visual Studio 2010 is the best choice for me. It is very lightweight, just 2.5 Mb, and with its VS integration, I can exploit all features of VS, a familiar IDE for me. After installing PTVS 1.5 Alpha, we can create new Python Project and write new Python program. Very impressive.